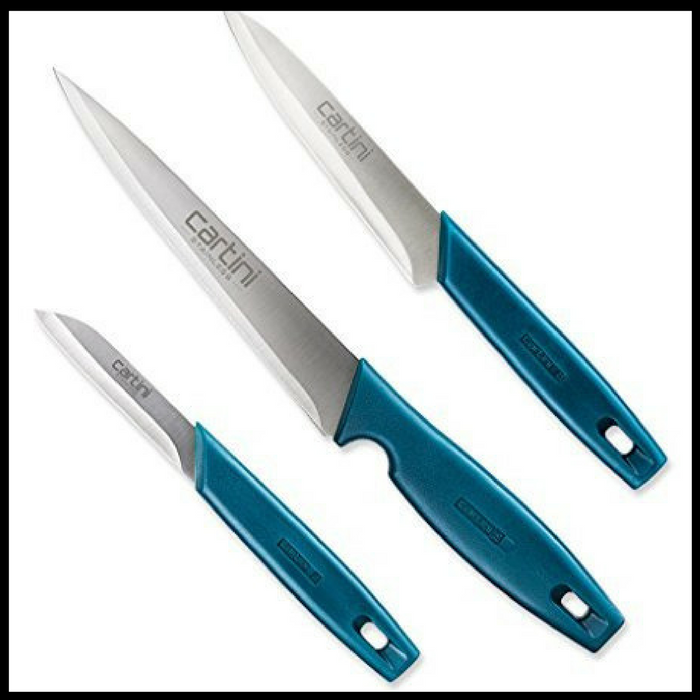 Cartini Kitchen Knives Just $15.00! Down From $58! You are here: Home / Great Deals / Amazon Deals / Cartini Kitchen Knives Just $15.00! Down From $58! Don’t miss this deal from Amazon! Get this Godrej Cartini Creative Kitchen Knives for just $15.00, down from $58.00, PLUS FREE shipping with Amazon Prime for orders $25 or more! These Godrej Cartini Kitchen Knives are compact size of blades with precise peeling performance. This set has hollow ground blades done by European heavy-duty machines for greater comfort and effectiveness. These chopping knives are made especially for slicing or chopping leafy and other vegetables. Compact size of blade for precise peeling performance. Hollow ground blades made by European heavy-duty machines for greater comfort and effectiveness. Easy Chopping Knife for slicing, chopping leafy and other vegetables. Special blade for multi-purpose cutting. Fine Dicing Knife for dicing, trimming of vegetables and slicing meat. King-size blade makes slicing precise and easy. Ergonomically design handle for effortless cutting.